The LOOP (London Outer Orbital Path) is a 140-mile (224-km) walking route around the capital's periphery that utilises the network of rural footpaths linking the secret ribbons of greenery that still survive amidst the suburban sprawl. In this guide the route is divided into fifteen sections, each representing a reasonable day's walking and starting and finishing at locations readily accessible by public transport. Users of the guide will be astonished at the extent and variety of the countryside that still exists within the orbit of this 'walker's M25' and at the number of fascinating sites - ancient woodlands, historic buildings and parklands, picturesque villages, rivers, canals and nature reserves - to which the Loop will lead them. 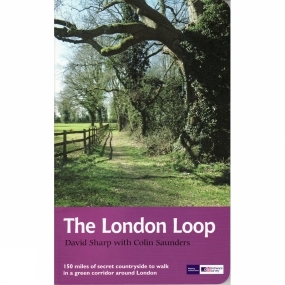 David Sharp, Londoner and veteran rambler, was one of the 'founding fathers' of the Loop which (like the second, inner, orbital path, the Capital Ring, also the subject of one of Aurum's Recreational Path Guides) was conceived and devised by the London Walking Forum.